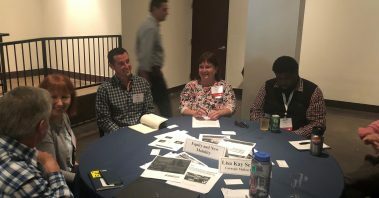 Today, Mobility21 UTC Program Manager Lisa Kay Schweyer led 3 discussion groups on equity and new mobility at the Association for Commuter Transportation’s Emerging Mobility Summit in Austin, Texas. 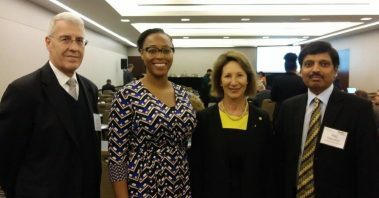 The discussions brought Transportation Demand Management professionals together to share their thoughts on how equity is defined, how equity considerations are or are not being built into the new mobility modes, and best practices from around the country. 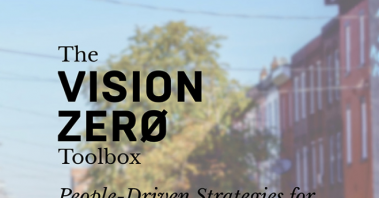 Erick Guerra, UTC Faculty and Assistant Professor in City and Regional Planning in the School of Design at the University of Pennsylvania, was an advisor for The Vision Zero Toolbox in Philadelphia project. 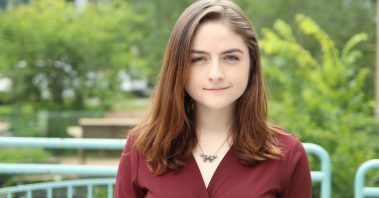 The project aims to help decision-makers at the local level prioritize initiatives and projects which will achieve the greatest traffic safety benefit and ensure the success of Vision Zero Philadelphia. 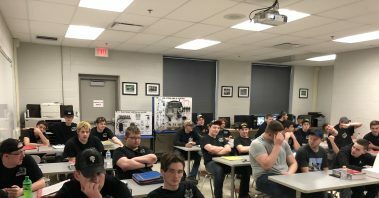 Bob Koch, UTC Faculty and Community College of Allegheny County Professor of Automotive Engineering, hosted students from the Butler County Area Vocational-Technical High School automotive program. Bob engaged the students in discussions about career opportunities for automotive technicians and included technician training with Intelligent Transportation, Connected Vehicles, EV and PHEV’s, Data Analytics and Cyber Security and how they relate to transportation industry. 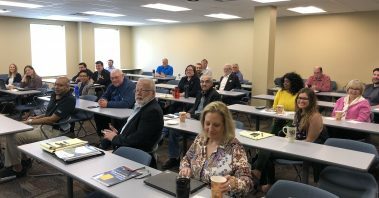 Bob Koch, UTC Faculty and Professor of Automative Engineering at the Community College of Allegheny County participated in today’s Pittsburgh Regional Clean Cities Electric Vehicles (EV) and Stakeholder Event. The event discussed ways to promote EV vehicles and infrastructure. 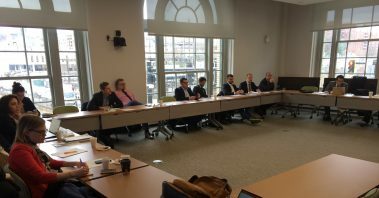 A delegation from Italy traveled to Pennsylvania to learn more about policy, mobility technology and the modernization of train/rail travel. The organization that came to CMU was “Ditecfer” District for Rail Technologies, High Speed, Safety and Security based in Pistoia, Italy. Tuscany is the leading cluster for innovative rail technologies in Italy. 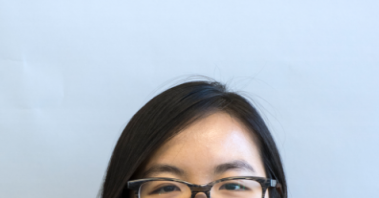 This organization considers the U.S. as their top priority for international collaboration and because both countries have significant railway supply chains based on SMEs and important integrations that can be built in the railway sector, they have identified Pittsburgh as a prime opportunity. 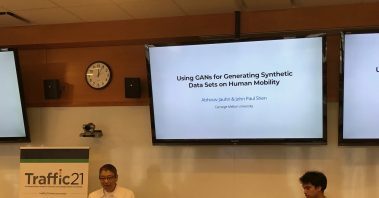 Executive Director, Stan Caldwell, presented the RD&D from Mobility21. 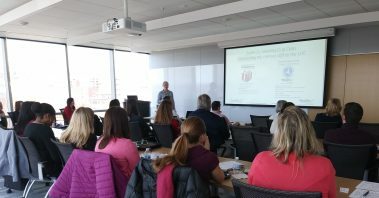 20+ Business Managers representing faculty across the Carnegie Mellon University attended a “lunch and learn” hosted by Mobility21 to learn more about the Traffic21 and Mobility21 UTC funding. 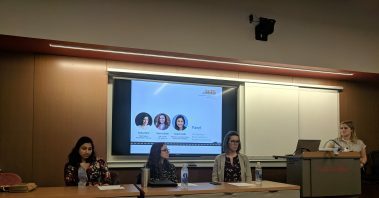 During the event, Rhonda Kloss & Heather Depasquale of the Research Accelerator, and Scott Petyak & Olivia Wells of the Heinz College reviewed the funding sources and shared some tips with the business managers. 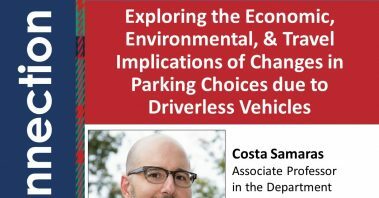 Mobility21 UTC Researcher & CMU Associate Research Professor Aaron Steinfeld helped contribute to the new whitepaper on “Driverless Cars and Accessibility” published by ITS America, which examines the opportunities around fully automated vehicles: when they begin to be deployed in significant numbers, they will offer the potential to usher in enormous positive changes. 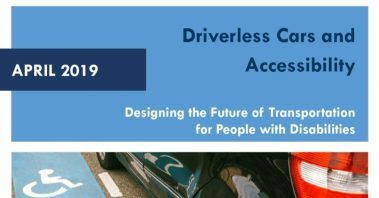 The white paper can be downloaded now: http://www.itsa.org/s/ITSAmerica_Driverless-Cars-Accessiblity-Mobility_April2019.pdf.